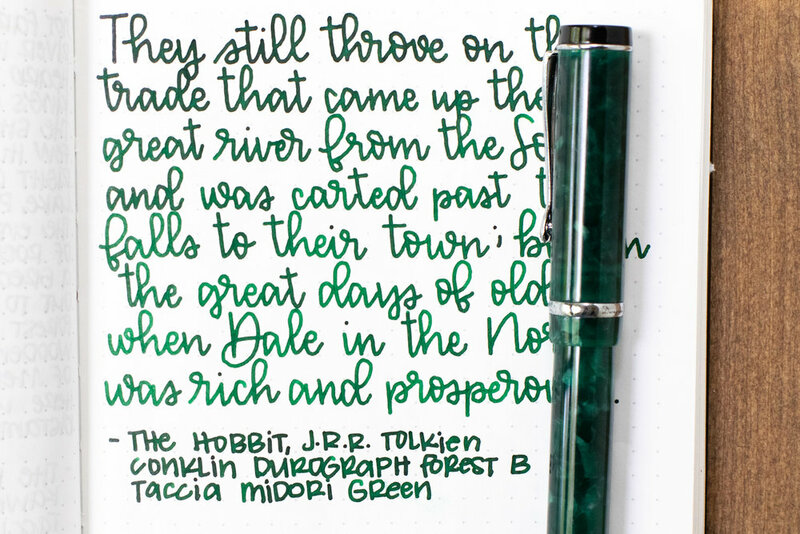 It’s time to take a look at Taccia Midori Green. This is a lovely Christmas green color. Thanks to Pen Chalet for sending a sample over for review. 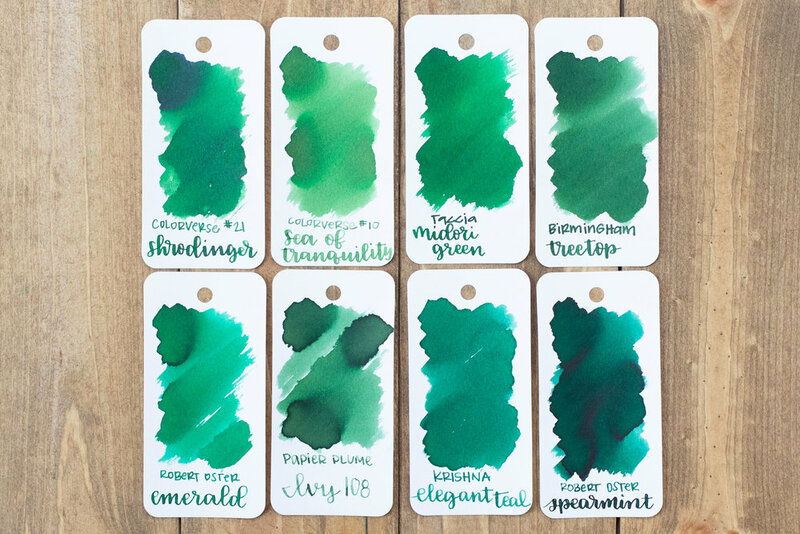 Midori Green is a lovely bright, medium green. 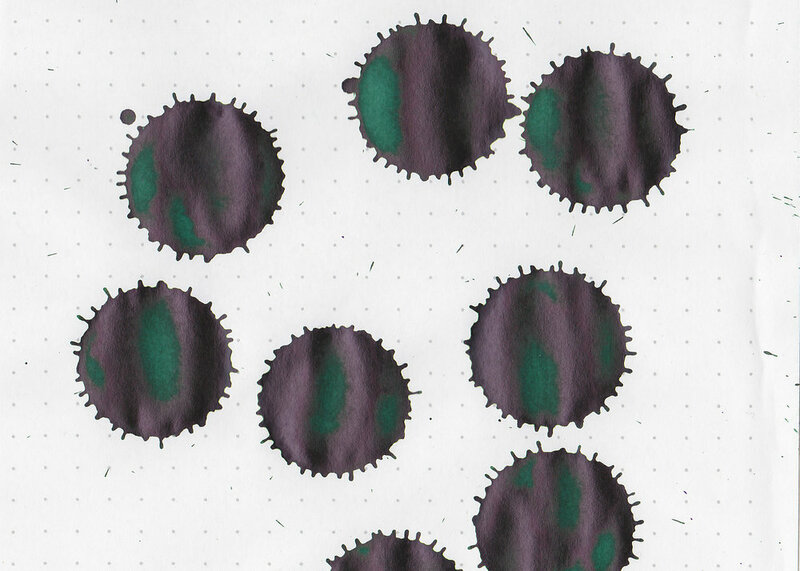 In large swabs there is some beautiful black sheen. Other properties: no shading, medium sheen, and no shimmer. 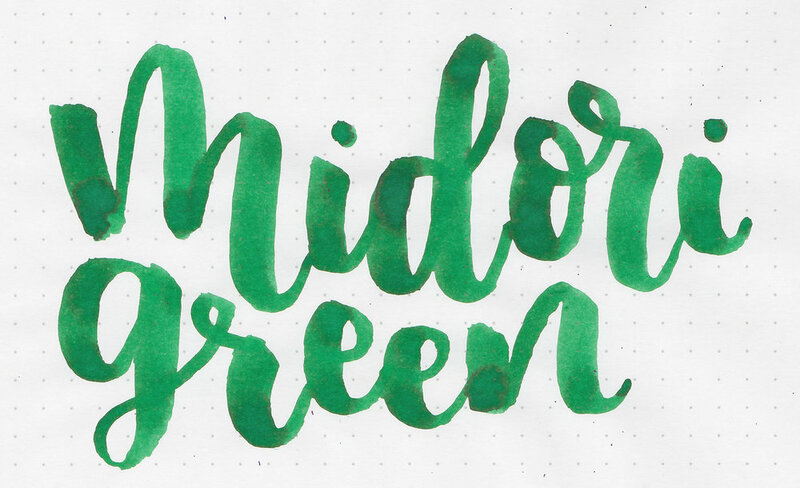 Midori Green is similar to Colorverse Shrodinger, but just a bit brighter. Click here to see the Taccia inks together. 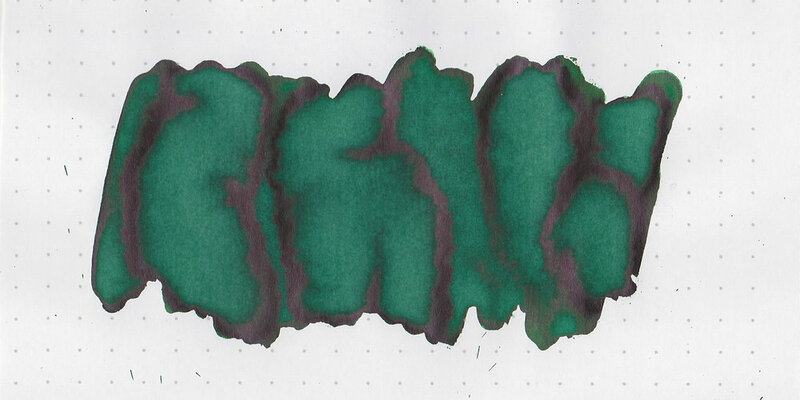 I used a broad Conklin Duragraph Forest Green on Tomoe River 68gsm. The ink had a wet flow. Overall, I really like this color. It would be a nice Christmas color, but the dry time is a bit long.